Known for its lively, clear prose as well as its scholarly research, A People’s History is the only volume to tell America’s story from the point of view of—and in the words of—America’s women, factory workers, African-Americans, Native Americans, the working poor, and immigrant laborers. As historian Howard Zinn shows, many of our country’s greatest battles—the fights for a fair wage, an eight-hour workday, child-labor laws, health and safety standards, universal suffrage, women’s rights, racial equality—were carried out at the grassroots level, against bloody resistance. 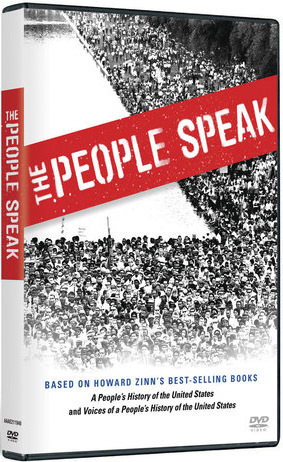 Covering Christopher Columbus’ arrival through President Clinton’s first term, A People’s History of the United States features insightful analysis of the most important events in our history.